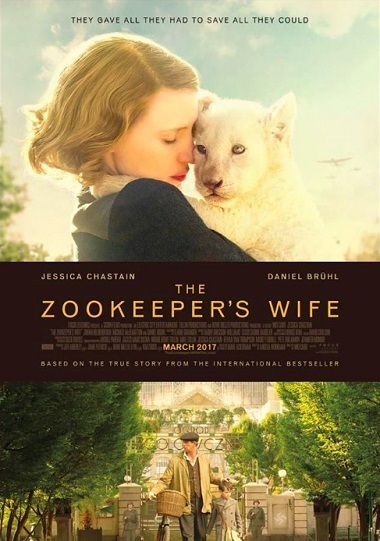 Dr. Jan Żabiński (Johan Heldenbergh) and his wife, Antonina (Jessica Chastain) are the keepers of the Warsaw Zoo (Miejski Ogród Zoologiczny), one of the largest and most prolific zoos in 1930s Europe. In the calm of September 1939, Antonina opens the zoo gates. Hours before the zoo opens for the day, a crowd has already gathered to view the many species on display in the zoo. Jan is the director of the Warsaw Zoo and faces the scornful, yet envious advances of Dr. Lutz Heck (Daniel Brühl), the head of the Berlin Zoo and "Hitler’s zoologist". Read more on Wikipedia.